As my title indicates there were quite a few men who immigrated to New England during the years of the great migration. Some were father and son, but others were of no known relationship. Two of the men eventually lived in the same town, both having sons named George, just to keep things interesting. Their identities have been intertwined on the internet leaving researchers with a mangled mess of ancestry. 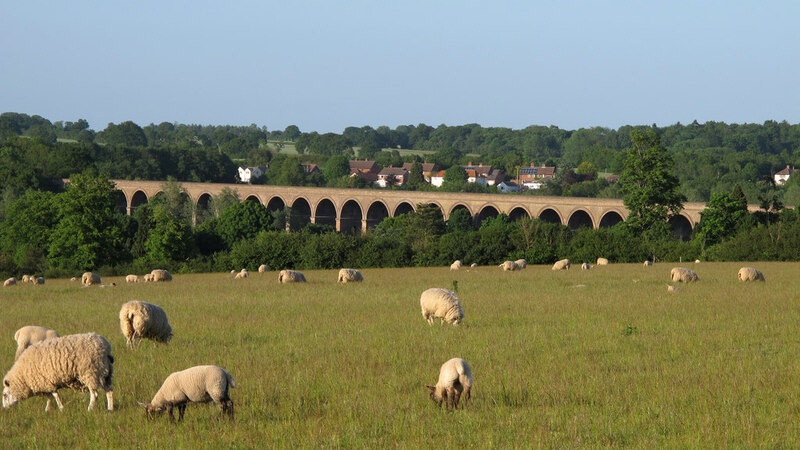 One of the Georges hailed from Bishop's Stortford in Hertfordshire and his ancestry was traced back to about 1470. Unfortunately, his ancestry has been attached to some of the other Georges. Here is what I know about the men named George Abbott who immigrated to Massachusetts and Connecticut in the early days of New England. 1. William b. c. 1470, wife unknown, he was a church warden at St. Michael's in Bishop Stortford. He was last known alive 21 November 1532. 2. John, b. c. 1495, wife unknown, taxed in Bishops Stortford in 1523, probably had two sons, last known alive in 1545. 3. William, b. c. 1525, married Margaret_____, they had four sons: George, Robert, John and Thomas. William wrote his will on 12 March 1568/9. The will was proved about two weeks later of 29 March 1569. All of his sons were minors, George seems to have been the eldest as he was the heir to most of his father's property. 4. George, b. c. 1550, m. Bridget Wyllie, bp. 7 Feb 1551, he was buried 11 Jan 1619/20, she was buried 13 August 1625. His name appears in court rolls, and the church warden rolls. 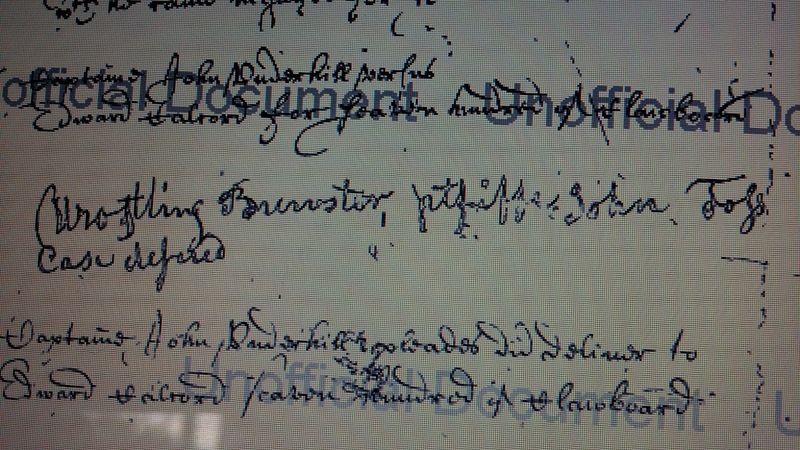 He left a will dated 12 October 1619. His executor and heir was his son George. He left his his messuage and household stuff, 18 acres of land. George was also to take care of his mother Margaret and pay his brothers from his inheritance. George and Margaret (presumably) had seven children, two died young and five are named in the will. 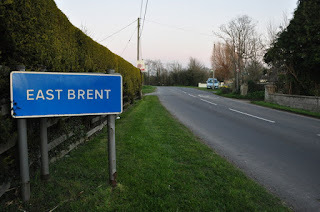 Bridget was from Thorley, Hertfordshire. Her sister, Agnes was the mother of another New England immigrant, William Dennison. Their parents were John and Joan Marshall Wyllie who were married on 7 October 1540 at St. James the Great, Thorley. 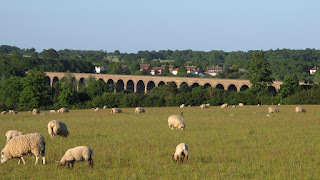 Thorley was a village just on the edge of Bishops Stortford. 5. George, bp. 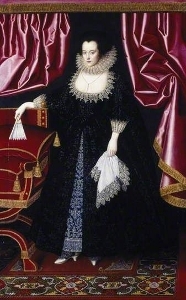 28 May 1587, m. Elizabeth _____. 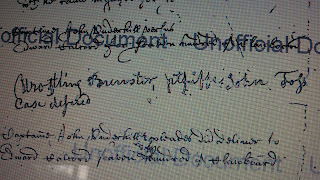 did not leave a will, they had four sons baptized in Bishops Stortford, last one in 1628. Nothing further is known. 6. George, bp. 22 May 1617, m. Hannah Chandler. This George Abbott immigrated to Massachusetts. He settled in Andover. He died on 24 November 1681. Hannah m. Francis Dane. George lived briefly in Roxbury, MA where he married Hannah. They then moved to Andover. He had a son George, b. 7 June 1655 who married Dorcas Graves. These are the only two George Abbott with ancestry in Bishops Stortford. This George's ancestry came to light in a 2011 American Genealogist article by Leslie Mahler. She was able to trace his ancestry to Chappel, Essex, England. His father's name was Thomas Abbott and George was baptized at St. Barnabas on 24 November 1586. Thomas was buried 30 May 1625. Anne Abbott, wife of Thomas and presumed mother of George, was buried on 16 November 1612. They were married in Great Tey on 5 October 1624. George and his family immigrated to Rowley, Massachusetts where he died in 1647. His son George married Sarah Farnham in 1658. They left Rowley and settled in Andover and he became known as George Abbott Jr. to differentiate him from George Abbott #1. The English origins of this George are unknown. He arrived in Windsor Connecticut by 1640 when he got into trouble for selling ammunition to the Indians. He spent some time in Hartford before finally settling in Norwalk. His first wife was Mary Weed, daughter of Jonas Weed. His second wife was Mrs. Johanna Williamson of Boston. This George wrote his will in 1689. G. Andrews Moriarity, "Ancestry of George Abbot of Andover, Mass," The New England Genealogical and Historical Register, 1931, 31:79, digital images, American Ancestors (https;//www.americanancestors.org : accessed 25 January 2016). J. L. Glasscock, The Records of St. Michael's Parish Church, Bishops Stortford, (London: Elliot Stock), digital images, Archive (https://www.archive.org). "England Births and Christenings, 1538-1975," database, FamilySearch (https://familysearch.org/ark:/61903/1:1:J3KL-587 : accessed 24 January 2016), Brigett Willie, 07 Feb 1551; citing Thorley, Hertford, England, reference ; FHL microfilm 991,398. Charles Melbourne Selleck, Norwalk, Volume 1, Norwalk, Harry M. Gardner, 1896. English Ancestry of William Berry's Wife Jane (Locke Hermins), is it Junky Genealogy? When I first started doing genealogy on ancestry.com two things happened. One, I fell in love with genealogy and two, I became a 'copy and paster'. After several months of building this giant unsourced tree I had my epiphany. How, I asked myself, do I know if any of this is true. That is the day I really began doing genealogy and stopped being a 'copy and paster'. The problem was and is, that all that junky genealogy was still out there for other 'copy and pasters' to put in their giant unsourced trees and perpetuate inaccurate information. If there is a nice way to tell someone that you think their ancestry tree is incorrect, I apparently haven't found it yet. 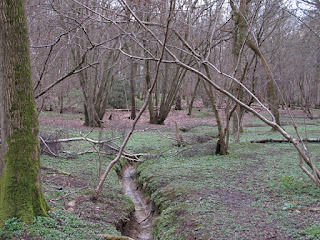 I have joined both wikitree and werelate, both great sites for universal trees. 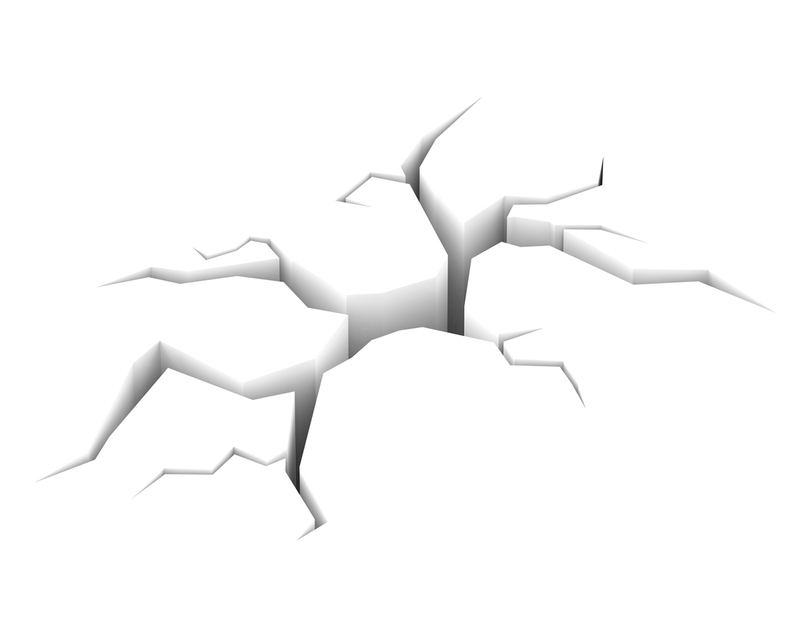 The problem I'm having is that when I find the same erroneous information on these sites, the profile managers are not always receptive to hints, sources or any information that would indicate that they might be on the wrong ancestor track. When that happens I usually slink back here to my blog and lay out my case for why I think the information available on their site and others is wrong. Hoping that people who are looking for real information might stop by and read my stuff. William Berry was an early settler in Sandy Beach in the Province of New Hampshire. He was there by 1636. He married and had children, dying in 1654. His widow Jane was granted administrative rights to his estate. According to Torrey's New England Marriages, she was only known as Jane. In a 1686 court deposition she stated her age as 67, giving her a birth year of 1619. By then, she was married to her second husband Nathaniel Drake. Other than some court appearances for naughty behavior, Jane is not mentioned in any record, deed, or other contemporary document, that I can find. On 8 July 1678, William Berry, son of William and Jane Berry, married Judith Locke. Judith was the daughter of Nathaniel Locke and his wife Judith Hermins Locke. Remember this fact for future reference! So, now to Jane Locke Hermins, wife of William Berry and Nathaniel Drake. What does ancestry and wikitree say about her and her ancestry. So, what do we have to work here for sources. A bunch of ancestry trees with either no sources or as a single source a baptism in London in 1605 for a Jane Locke. No name was recorded for her father. I looked at multiple trees on family websites and could not find a single one that had a source for Thaddeus John or his wife Jane Locke. 1. A middle name. This may not seem like a red flag to you, but middle names were not in use until the mid 1700s. Anytime you seem a middle name prior to 1750, it should raise a red flag. 2. A man born in Devon, marries a woman born in London, and they have a daughter born in either York or in the Province of New Hampshire. Most ordinary people were born, lived and died within a small radius. To see this spread, from one end of England to the other, with a stop in the middle should set off red flags. 3. A birth in 1619 in Rye, NH should set off alarm bells. If you don't see red with this one then you need to get out some history books and start reading. 4. New Hampshire was first settled by fisherman. There were very few Lords and Ladies that lasted in New England. If a Sir Hermins and his wife Lady Jane immigrated to New Hampshire in 1619 I'm sure it would be recorded. I cannot find not a single piece of direct or indirect evidence that Thaddeus John Hermins even existed, never mind married, had a child and immigrated to New Hampshire. What I do have is a lot of negative evidence that he is not only not the father of Jane, wife of William Berry but that he may not in fact be an actual person. About 1640 a child was born in Ireland, his name; Thaddeus Berry. What could go wrong here, we have the name Berry and the name Thaddeus, we're on to something. Check him out on ancestry.com and guess who his parents were. That's right William Berry and Jane Locke Hermins. Isn't that nice, they named him after her father. Even better, he really was a real person, and there is lots of information about him. But the bad news is, he's not related to our family. Like I said he was born in Ireland. He has nothing to do with our Berry family in New Hampshire. See the Register article by Michael Hager for his full story. Conflation is a great word to describe what is going on here. This is a conflation of multiple identities. The names Locke and Hermins belong to Judith, wife of William, not to Jane his grandmother. But this misidentification of Jane sends us on a wild goose chase in England looking for a man named Hermins and woman named Locke. A Jane Locke is born in London in 1605, aha it must be her. But what do we know about this child Jane Locke, not even her father is identified. How can you build your case with nothing. A man named Thaddeus Berry immigrates to Massachusetts, not quite New Hampshire, but close enough it seems for some. Suddenly, he becomes on of the family and he's named for his grandfather Thaddeus John. But, Thaddeus Berry is an Irishman whose real name was Teague O'Barry. Thaddeus John Hermins and his wife Jane Locke are pure fiction. The name of William Berry's wife was Jane, and that's all we know. Another candidate thrown into the mix is Jane Spencer, daughter of Sir John Spencer of Althorpe. She married three times, her last husband was Robert Sackville, son of Thomas. They married in 1592, he died in 1609. Anne Spencer Stanley Compton Sackville died in 1618. One online tree has her married to Thomas Sackville, but that was not the case. No Anne Sackville, Locke or otherwise, was buried in Westminster Abbey. Lady Jane's father is said to be Christopher "Matthew" Locke. Why do those quotation marks around Matthew make me feel that something is fishy here? Christoper is said to have been born in 1568 in Pensford, Buckinghamshire, England. (FYI Pensford is in Somerset) The wikitree bio says he d. in 1635 in Westminster Abbey. I'll start by telling you that there is no Christoper Locke buried in Westminster Abbey, perhaps he died while attending a service but he ain't buried there. So who was this Christoper Matthew Locke? A genealogy of this Locke family was written in the 1700's in a gentleman's magazine which was later used as the basis of a book by John Goodwin Locke entitled "Book of the Lockes," published in 1853. This book is about the descendants of William Locke of Woburn, Massachusetts who immigrated to New England when he was six years old. The book tries to make a case that the immigrant William is related to the family of the philosopher John Locke, but he cannot prove it. In fact he got that part really wrong. That being said he does lay out a pedigree of the Locke family. The part of the pedigree that concerns us here is that of Michael Locke, son of Sir William. According to the pedigree Michael had a son Matthew who in turn had a son Christopher Locke of East Brent, Somerset. This Christopher had children with an unknown wife. The baptism of four children are found in the parish records of East Brent, Somerset. There is no daughter named Jane mentioned in the pedigree and there is no wife named. The author also tried to tie Matthew to the Locke family of merchants in London, but he does not make a case for this either. Now the internet genealogies would have us believe that the Christopher Locke married the daughter of an Earl, and that their daughter married a untraceable man from Devon and landed in New Hampshire. Sorry, but it's a bunch of hooey balooey. Conclusion: The English ancestry of Jane Unknown Berry is, in a word, unknown. FYI: The father of the philosopher John Locke was John son of Nicholas Locke, he was not the son of Christopher Locke. Hey readers, if you think something here is wrong please comment with you sources, thanks! Noyes, Sybil, Charles Thornton Libby and Walter Goodwin Davis, Genealogical Dictionary of Maine and New Hampshire, (Baltimore: Gen. Publishing Co., 1990). Torrey, Charles, New England Marriages Prior to 1700, (Boston: New England Historic and Genealogical Society). Locke, Arthur Horton, A History and Genealogy of Captain John Locke (1637-1696) of Portsmouth and Rye, N.H., and His Descendants; Also of Nathaniel Lock of Portsmouth, and a Short Account of the History of the Lockes in England, (Concord, NH: The Rumford Press, 1916? ), 5, 565, digital images, Archive (http://www.archive.org: acccessed 24 December 2015). "One World Tree," Database. Ancestry.com. http://www.ancestry.com : 7 January 2016. "London England, Baptisms, Marriages, and Burials, 1538-1812," entry for Jane Locke, baptism 2 August 1588, All Hallows the Less, London, digital image, Ancestry (http://www.ancestry.com : accessed 7 January 2016), citing London Metropolitan Archives, All Hallows the Less, Composite register: baptisms 1558 - 1654, marriages 1558 - 1653, burials 1558 - 1654, P69/ALH8/A/001/MS05160, Item 001. Michael E. Hagar, "Thaddeus Berry, alias Teague O'Barry of Rumney Marsh (1640-1718) an Irish Immigrant," The New England Genealogical and Historical Register, 148, 331, digital images, Amerian Ancestors (https://www.americanancetors.org : accessed 7 January 2016). Jorge Castelli, "Thomas Sackville," Tudor Place (http://www.tudorplace.com.ar/Bios/ThomasSackville(1EDorset).htm : accessed 7 January 2016). John Goodwin Locke, "Book of the Lockes," (Boston: J. Monroe and Company, 1853), digital images, Archive (https://www.archive.org : accessed 10 January 2016). Last week I was looking at the early court records of New Hampshire for my ancestor John Foss. John Foss is believed to have come to New Hampshire by 1660 when he married Mary Berry, daughter of William and Jane Berry. With this in mind I was really surprised to see an entry on page one of the records that said: "Wrestling Brewster Pltiffe John Foss case defered." These early entries have no date but they are followed by items dated 1637. Naturally, I was intrigued, who was this John Foss, was he related to the John Foss I was trying to trace? And I have to tell ya, I love, love, love the name Wrestling Brewster, what a handle that was. Classic Puritan, that one, the only name I love more is Hatevil Nutter. But, back to my story. Now, I happen to know that these early court records can be seen in the Rockingham County, New Hampshire land deeds. I look up the record and there it is in the middle of the page. So, who was this Wrestling Brewster. Well he was born in Leiden, Holland to William Brewster. At age 6 he was a passenger on the Mayflower and settled with his family in the Plymouth Colony. He died between 1627 and 1644. Hum, this is getting interesting. Why was the son of a prominent separatist, a pilgrim father no less, why was he in New Hampshire. The hunt leads me to an old text, published in 1859, called Rambles about Portsmouth, by, get this, Charles W. Brewster. In this book, which is volume 1, he tells the story of Mary Brewster who lost her scalp during an Indian attack on the families living near Portsmouth. She was the wife of John Brewster, who was, he said, the grandson of Wrestling Brewster and great grandson of Elder William Brewster. Apparently Mary survived the attack; the wound to her skull was covered by a silver plate and she wore a wig. But, that's another story. In 1907 this family history was once again printed in the Register, but this time it actually included the marriage of Wrestling Brewster. By then, the family history had been accepted by some genealogist who did not question it's authenticity, the information was even included in a book on the "life and times of Elder Brewster." The Register submitter in 1907 was the son of that ramblin' man Charlie Brewster. He was posting the history again in response to an accusation by James Savage of forgery. Savage basically called out the history as a fabrication. Wrestling Brewster was never in Portsmouth and never married or had children there. Love Lucretia never existed. Lewis Brewster speculated that Savage could be wrong, but he wasn't. So how to explain the entry for Wrestling Brewster in the New Hampshire records. The answer is again, forgery. It seems that the brother of Charles Brewster, Dr. George Gaines Brewster was the forger. He made the false entry into the records and went so far as to make up and enter a fake deed. It is believed that he actually scratched out original content and replaced it with his own. That could have been someone's brickwall, gone off the velum. George rewrote 'the family history' to include the Brewsters. Jeez, and this guy was a card carrying member of the New England Historical and Genealogical Society. Why'd did he do it? I think George suffered from a condition called, by me, ancestry inflation. This genealogical disease comes in two forms, the believer and the deceiver. The believer, believes that their ancestors were more prestigious than they actually were. Instead of a farmer, they were a gentleman, or an aristocrat. This may be something they heard from great grandma or read on another believers tree on ancestry. The deceiver, actively works to make a false connection to someone who is not their ancestor. This includes men like George Brewster who added and changed entries to an irreplaceable and invaluable document for his own personal sense of inflation. The problems caused by believers and deceivers range from mild amusement to chronic genealogical headaches. Generally the deceivers infect the believers and propagate the misinformation. 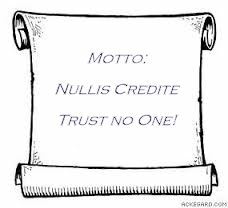 How do you protect yourself from them, I prescribe a dose of my new 2016 motto: Nullis Credite. Trust No One. That's right, I said no one. This can be a tough pill to swallow. It means you have to do your own research! But, it might also be the shot in the arm that you need to get it right. Happy Hunting! Rockingham County, New Hampshire, Land Deeds, Vol. 1, p. 1, entry for Wrestling Brewster and John Foss, database with images, Rockingham County Register of Deeds (http://www.nhdeeds.com/rockingham/RoIndex.html : accessed 3 January 2016). Caleb Johnson, "Wrestling Brewster," Caleb Johnson's Mayflower History (http://mayflowerhistory.com/brewster-wrestling/ : 1994-2015). Charles W. Brewster, Rambles About Portsmouth, Vol. 1, (Portsmouth: C. W. Brewster and Son, 1859), 71-71, digital images, Archive (https://www.archive.org). Charles W. Brewster, Rambles around Portsmouth, Vol. 2, (Portsmouth: Lewis W. Brewster, 1869), 51, digital images, Archive (https://www.archive.com). John Wentworth, "Sherbourne, Sloper, Brewster, Knight, Langdon, Lear," New England Genealogical and Historical Register, Boston, New England Genealogical and Historical Society, 17, (1863) 252, American Ancestors (www.americanancestors.org : accessed 4 January 2016). James Savage, A Genealogical Dictionary of the First Settlers of New England, (Boston:Little Brown and Company, 1860) 247, Archive (https://www.archive.org : accessed 4 January 2016). Noyes, Sybil I., Charles Thornton Libby, and Walter Goodwin Davis,Genealogical Dictionary of Maine and New Hampshire, (Baltimore: Genealogical Pub., 1972).